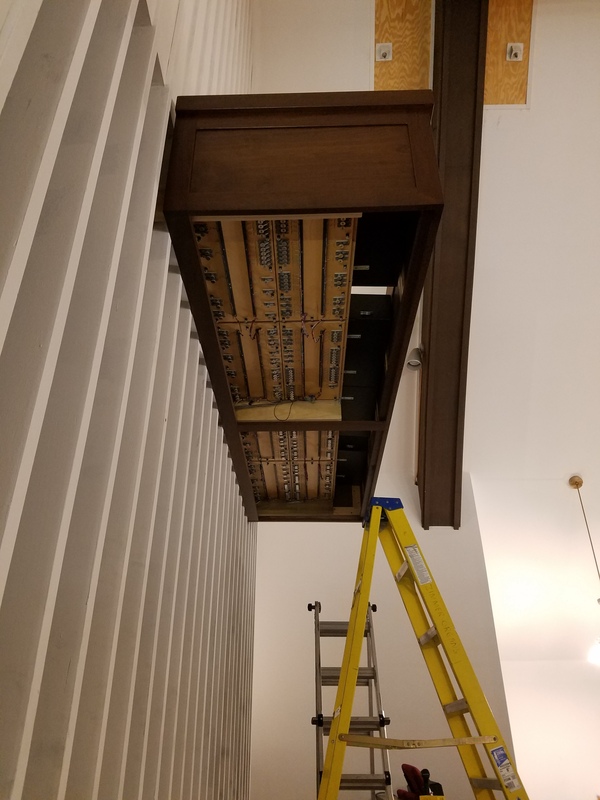 Austin Organ Opus 1169, 1923. 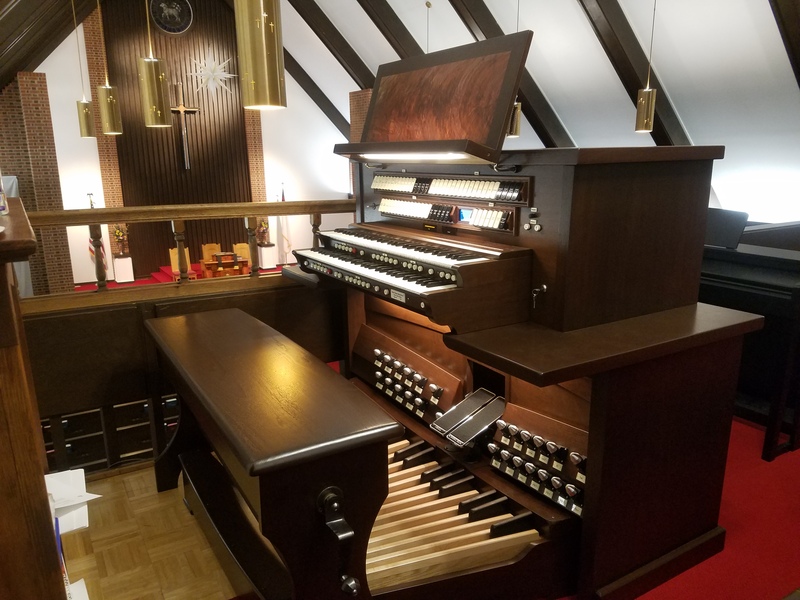 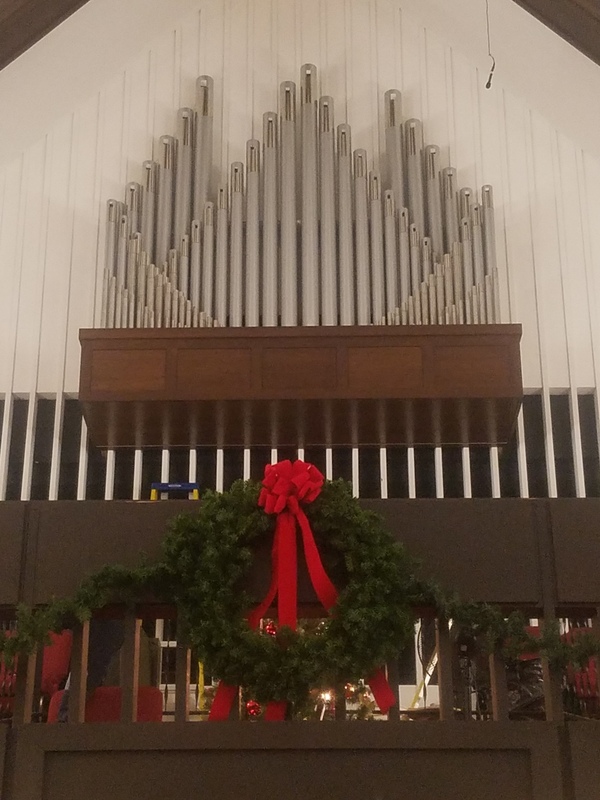 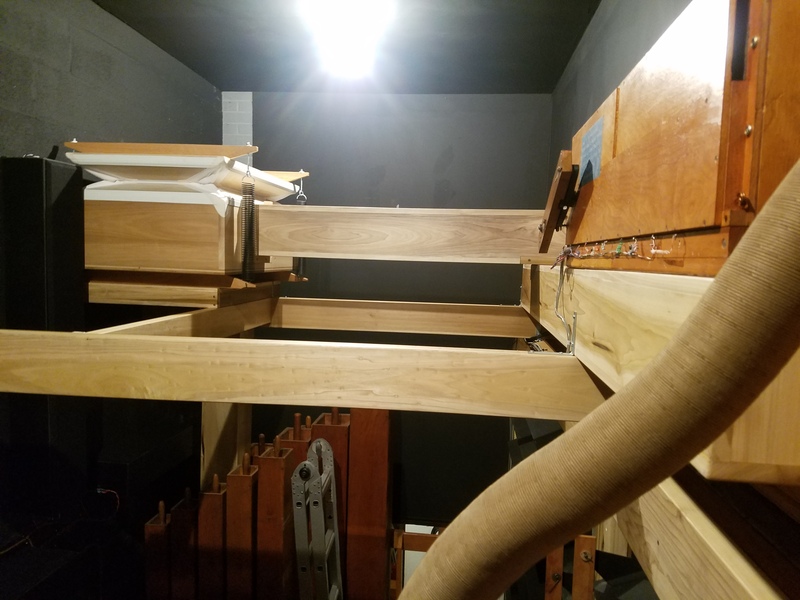 This project included a new console, complete rewire, cleaning/regulation of all pipework, and installing a new exposed wind chest consisting of a new Principal 8, Pedal Octave 8, Octave 4, and Fifteenth. 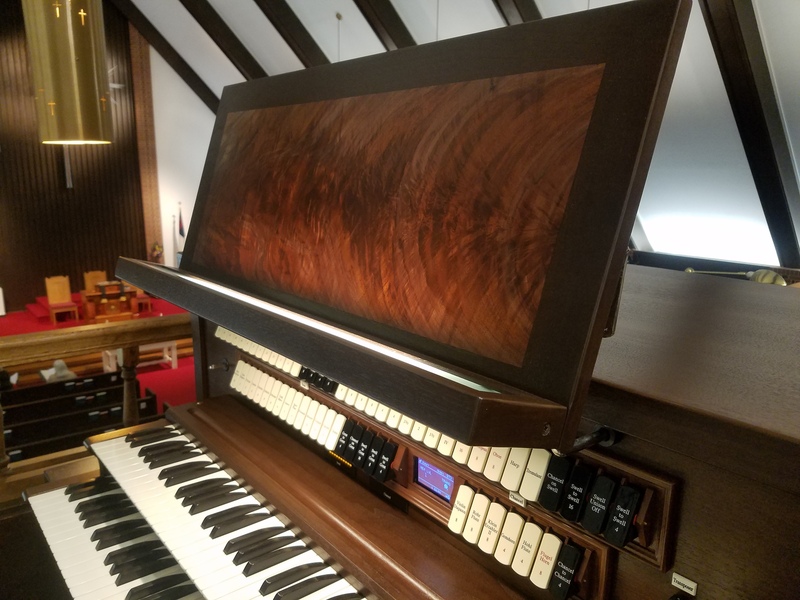 The console, and cantilevered case were constructed of Walnut donated from a church member who had it in a barn for over 60+ years!